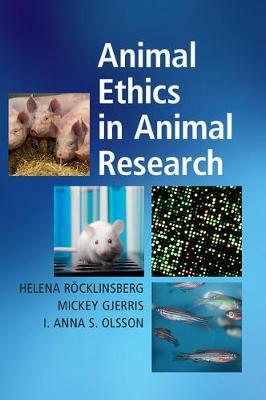 Author(s) Röcklinsberg, Helena; Gjerris, Mickey; Olsson, I. Anna S.
The use of animals in research has always been surrounded by ethical controversy. This book provides an overview of the central ethical issues focusing on the interconnectedness of science, law and ethics. It aims to make theoretical ethical reasoning understandable to non-ethicists and provide tools to improve ethical decision making on animal research. It focuses on good scientific practice, the 3Rs (replacement, reduction and refinement), ethical theories applied to specific cases and an overview of regulatory issues. The book is co-authored by experts in animal research, animal welfare, social sciences, law and ethics, and provides both animal researchers and members of animal ethics committees with knowledge that can facilitate their work and communication with stakeholders and the public. The book is written to provide knowledge, not to argue a certain position, and is intended to be used in training that aims to fulfil EU Directive 2010/63/EU.